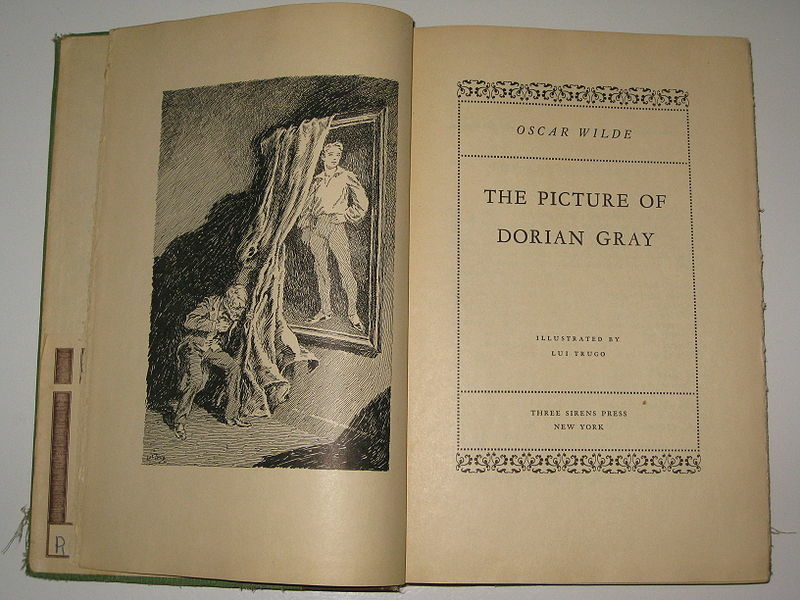 The rich oppositional themes of good and evil, superego and id, love and egocentricity, and redemption and damnation in Oscar Wilde’s only novel, The Picture of Dorian Gray, have evoked a profusion of philosophical interpretations and psychological commentary, particularly in regard to the dualistic nature of Dorian’s psyche and his internal struggle between impulse and its inherent consequence. At the root of the narrative’s contradictory interpretations is the more fundamental debate about the genre into which the novel fits and how it should be read. The issues of immorality raised in the text suggest that parable is its principal genre; others would argue for Dorian Gray as a traditional Gothic novel or fable, each of which is governed by its own set of assumptions. “What a text means is inseparable from how it is read, and since we must always read a text as something, genre often asserts itself as a set of instructions […]” (Clausson 339). Whether Dorian Gray is read as a decadent romance, moral fable, Christian parable, Gothic tale of the fantastic, Restoration comedy, medieval allegory, or, as Joyce Carol Oates suggests, a curious combination of two or more genres (424) will determine how it is interpreted and judged. By categorizing Dorian Gray, its merit is restricted by the parameters and agendas of literary theory, which, according to Russian philosopher and theorist Mikhail Bakhtin (1895-1975), “is helpless to deal with the novel. Rather, ‘novel’ is the name [given] to whatever force is at work within a given literary system to reveal the limits, the artificial constraints of that system” (Dialogic xxxi). While critical analysis uninformed or uninfluenced by some mode of theory is not possible, what attracts us to Bakhtin is his examination of “the ways in which framing destabilizes rather than produces fixity” (Young 84). The hierarchy of these early theories can be presumed by the order in which they are presented in Toward a Philosophy of the Act, thereby suggesting that the ethical intent of Bakhtin’s thesis is grounded in his notions of answerability and responsibility as they relate to performed acts or deeds of Being that comprise the actual world. These acts, as indicated by Bakhtin in the text, “establish a fundamental split between the content or sense of a given act/activity and the […] actual and once-occurrent experiencing of it. […] As a result, two worlds confront each other […],” the world represented by culture and contemplation and the world actually experienced (2). The abstract sense of consciousness requires both active and passive participation in Being and actualization of one’s unique “ought” or moral answerability, the universality of which protects morals and ethics from unrestrained relativity (x). At no moment can one be indifferent to one’s voice of consciousness (41). “Man in The Picture of Dorian Gray consists of an inner core, the sum total of his actions, and a surface, the role – or roles – played in society. If one throws this truth out of the front door […], it returns through the back door and destroys one unawares” (Breuer 230). Although Dorian seeks to separate himself from personal answerability by banishing the portrait, reconciliation must occur ultimately. The correlating opposites of his youth and beauty on the surface with his exiled inner core of age and ugliness remain intact, as evidenced at the end of the novel when Dorian, attempting to destroy the portrait, destroys himself unwittingly. In Bakhtin’s universe, indifference always impoverishes and decomposes its object (Philosophy 64). According to Bakhtin, it is in the architectonic model of the actual world of a unitary and once-occurrent act or deed that Being-as-event is composed. The three basic moments of its construction are I-for-myself, the other-for-me, and I-for-the-other. All of life’s values (i.e., scientific, aesthetic, political, social, and religious) are arranged around these points of the performed act or deed and drawn toward these moments (Philosophy 54). Bakhtinian theory pronounces I-for-myself as an unreliable basis of identity because “my own boundaries are inaccessible to my perception and consciousness (I cannot directly perceive the top of my head, or consciously experience the moment of my own birth and my death),” and it is the way in which others view me (I-for-the-other) through which a true sense of identity is developed (Erdinast-Vulcan 3). Naturally, other-for-me represents the way in which others integrate my perceptions of them into their own identities. In keeping with Bakhtin’s descriptions, identity, then, is not a condition of the individual or of the hero’s limited insights about himself but is shared by all. Scandal scenes, cynical frankness, and other violations of customary behavior and etiquette are prominent in the menippean genre, creating a “breach in the stable, normal (‘seemly’) course of human affairs and events […]” (Problems 117-18). While set primarily in the lavishness of upper society with all the activities and accoutrements of a refined life, Dorian Gray descends frequently into London’s murky underworld as its hero, tainted by the pessimistic witticisms of Lord Henry and his poisonous book, searches for the ultimate sensation. In menippean fashion, divergent images such as Dorian playing Chopin on the piano while discussing Basil’s murder (DG 152) and the laughing ivory Cupids that decorate the carved mirror that reflects his ruinous beauty (DG 74, 157) connect unexpected and disjointed elements of affluence and addiction, culture and corruption. In tales of doubles and carnivalized fiction, the threat of death surrounds the hero like a pall, for it is through death, negation, or reversal that he is renewed (Problems 128). Psychic division, according to Miller, is an innate social dysfunction that conveys doom and disaster in the narrative (24). In De Profundis, Wilde wrote of a “Doom that like a purple thread runs through the gold cloth of Dorian Gray” (Wilde 1026). According to one critical interpretation of the novel’s sense of foreboding, Basil merely threads the needle by painting the portrait and awakening Dorian to his own beauty; it is Lord Henry who weaves the thread throughout the narrative with his cynicism and Hedonistic propaganda (Liebman 443). A Bakhtinian application would support the pervasive interpretation that all three central characters, along with the reader, participate in the construction of Dorian’s consciousness; however, it is Dorian’s own inability or unwillingness to reconcile the duplicity of his soul that ultimately destroys him. Bakhtin’s highly abstract theories of consciousness and Being continue to raise philosophical questions about the literary hero and how he is consummated and finalized. His humanistic concepts of answerability, architectonics, outsidedness, and polyphony help us to recognize and understand narrative moments of ethical choices and performed acts, where states of “is” and “ought” are and often remain in conflict. A Bakhtinian analysis, perhaps more than any other critical interpretation, requires a deeper probing of the psychic condition of the hero and therefore of the novel itself. While such an examination may lead to more questions than answers, the value of the novel may lie in its own “unfinalizability.” Through the lens of Bakhtin, Oscar Wilde’s The Picture of Dorian Gray, much like Bakhtinian theory, “remains a puzzle: knotted, convoluted, [and] brilliantly enigmatic” (Oates 419). I find it curious that The Portrait of Dorian Gray, HG Wells The Invisible Man and Robert Lewis Steven’s Dr. Jekyll and Mr. Hyde were written by British men in the same time period. What was going on in the culture of London at that time?The themes of these 3 books are so similiar. I know…the notion of a doppelganger was notably common outside of London, too – and so rich! I love it. If you haven’t, you may want to read Dostoyevsky’s The Double and Nabokov’s Despair. Both are brilliant tales of doubles and split selves. Did not know them. Thanks for the tip.